Home English Pawan to join hands with Chiru’s backstabber! Pawan to join hands with Chiru’s backstabber! 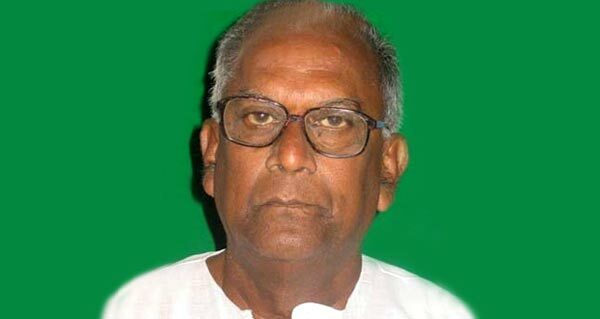 Veteran leader and former minister Chegondi Hari Rama Jogaiah had quit congress and joined Chiranjeevi’s Praja Rajyam Party during 2009 elections. However, the party’s poor performance in west Godavari district was attributed to Hari Rama Jogaiah as has got strong hold in the region. He was accused of being covert to congress and backstabbing Mega star. The senior politician quit prajarajyam and remained inactive in politics. As per latest grapevine, Pawan Kalyan is likely to meet Jogaiah in August. The Jana Sena Chief apparently wants to seek the support of Jogaiah and invite him into the party. Party workers and followers are not too happy with Pawan’s decision. Let’s wait to see how it goes. Next articleఆగ‌స్ట్ 3.. ర‌చ్చ రంబోలా..!